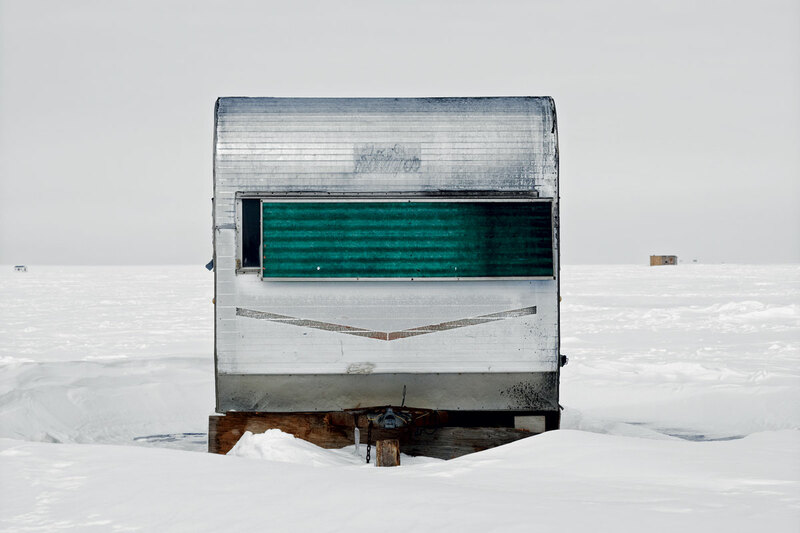 Canadian photographer Richard Johnson sheds light on his country's preferred winter pastime, ice fishing (sorry, hockey! ), one funky shack at a time. 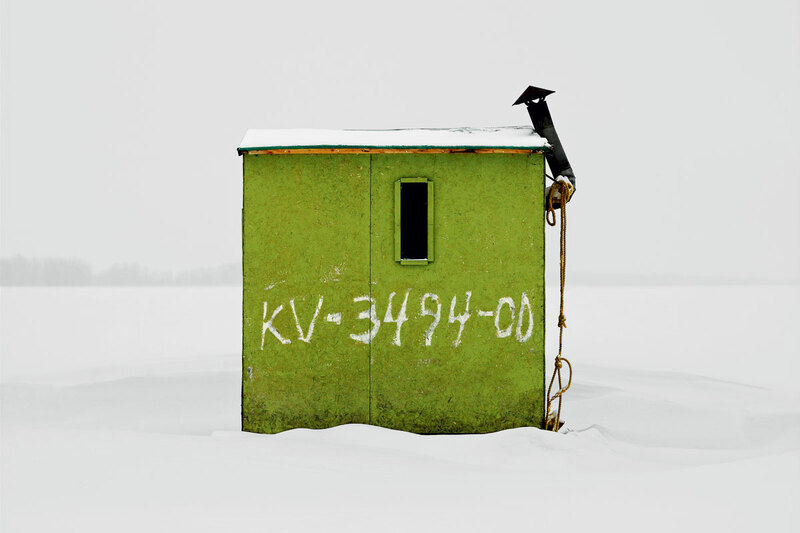 Quebec Ice fishing is a highly social affair for Quebecois, who tend to let their freak flags fly. 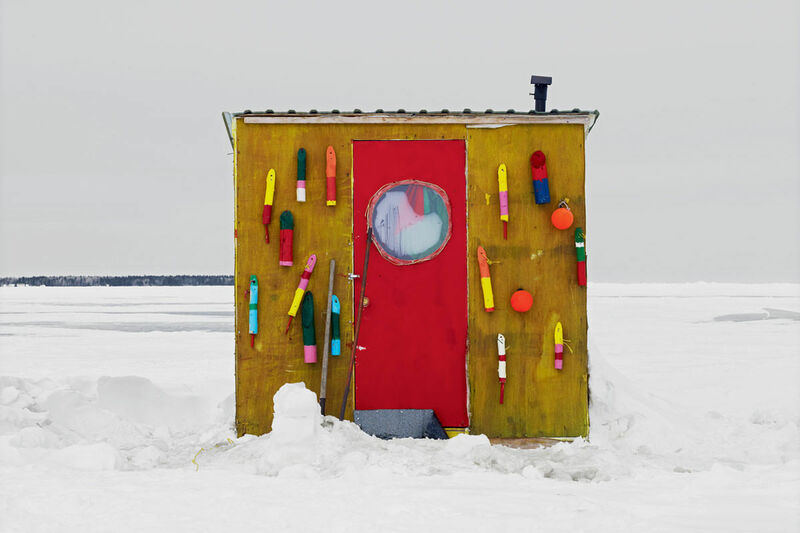 This dwelling, clad in buoys from the local lobstering industry, belonged to a man named Pierre. "An eccentric fellow, as most of these guys are," says photographer Richard Johnson. Saskatchewan Though the antlers are purely decorative, those red reflectors serve a purpose: protecting this Anglin Lake hut from post-dusk snowmobilers. Saskatchewan Pickup-truck campers are prevalent in Regina Beach. 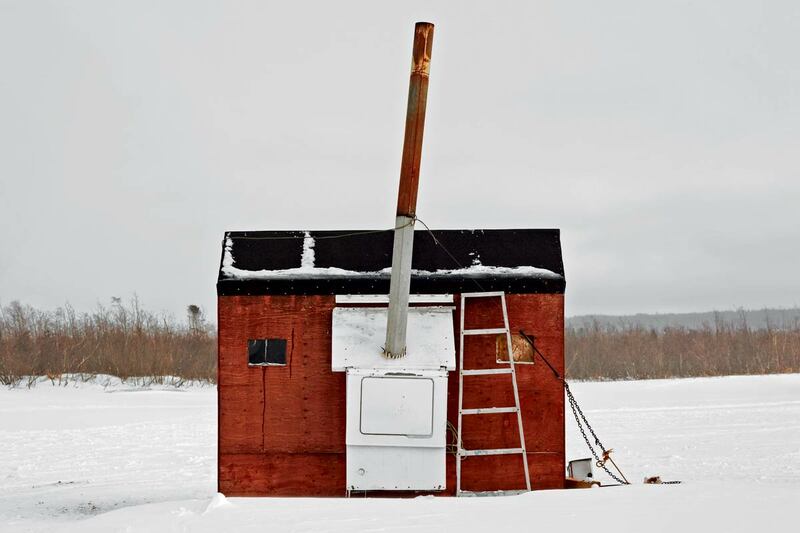 Note the gas-powered auger – the power tool of choice for making a hole in the ice. 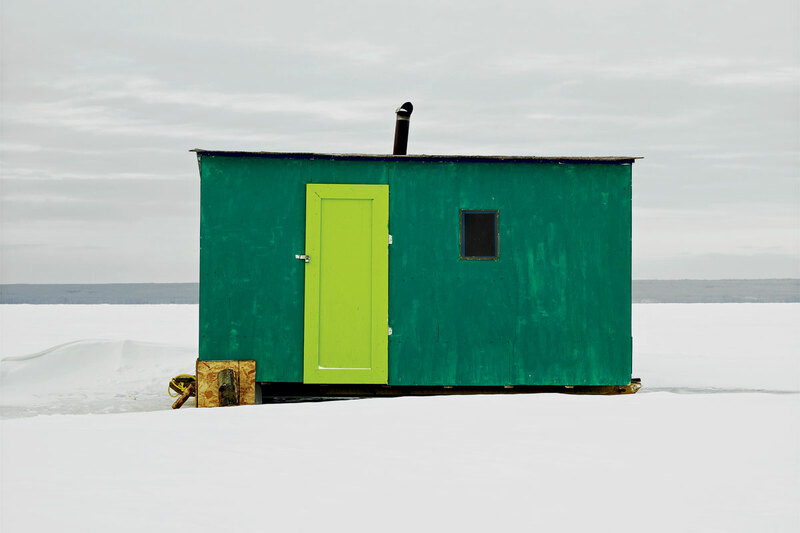 Prince Edward Island Windowless huts dot the island’s 1,100 miles of coastline, allowing spearfishermen a clear view of their prey beneath the ice. 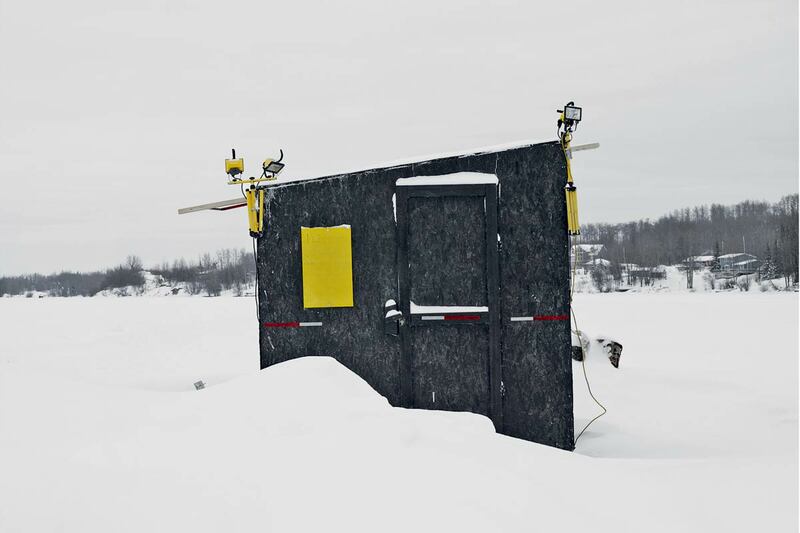 This “darkhouse,” set atop skis, can be easily towed by a snowmobile, a four-wheeler, or a few gruff guys. 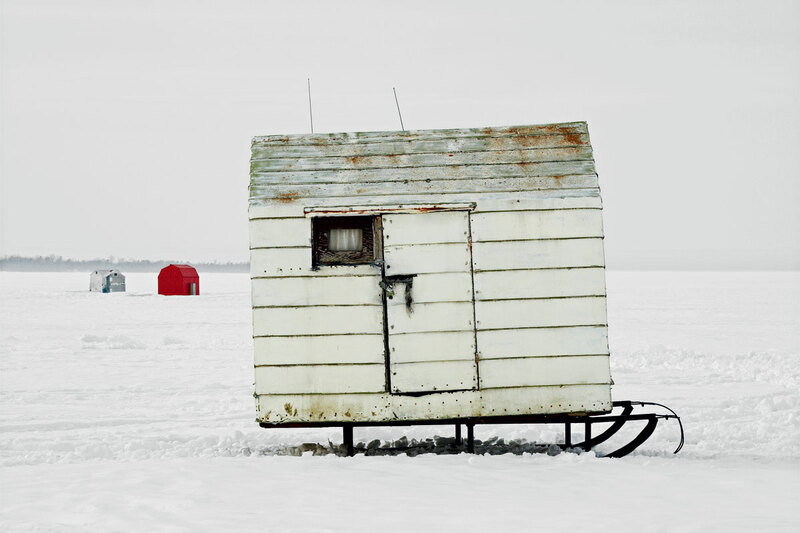 Ontario Snapped on March 14, the last day of Ontario’s winter fishing season, this image depicts a hobbit-sized hut about to be pulled off Lake Simcoe atop a sled. 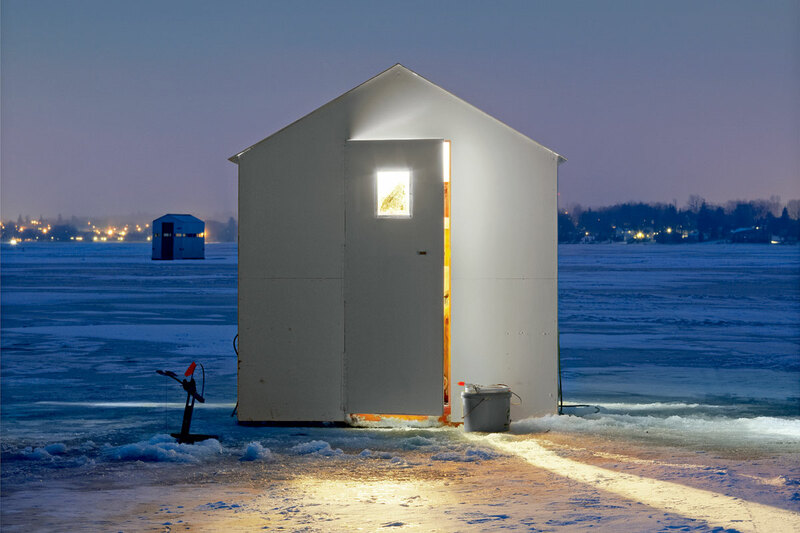 Ontario Temporary power lines from the mainland allow the owner of this dwelling – part of a small village that appears every winter on the Ottawa River – to fish after sunset on a winter’s eve. 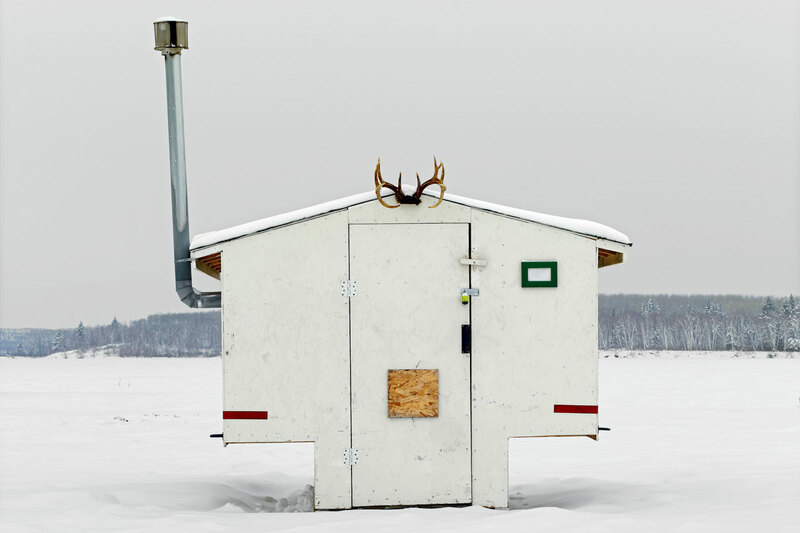 Ontario An Ottawa River shack exuberantly complies with the province’s license-number laws. 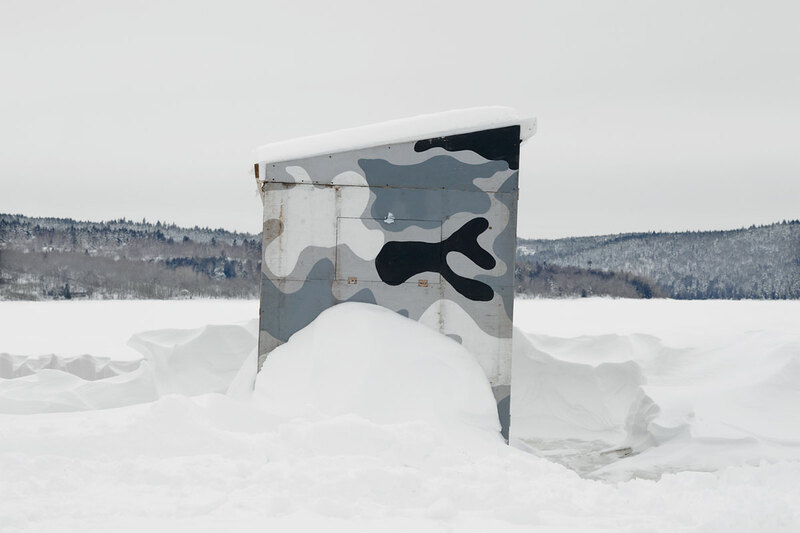 New Brunswick Heavy snowstorms left much of the province – including this camouflaged Kennebecasis River cabin – inaccessible last year. Newfoundland What this remote island lacks in material wealth, its people make up for in ingenuity. 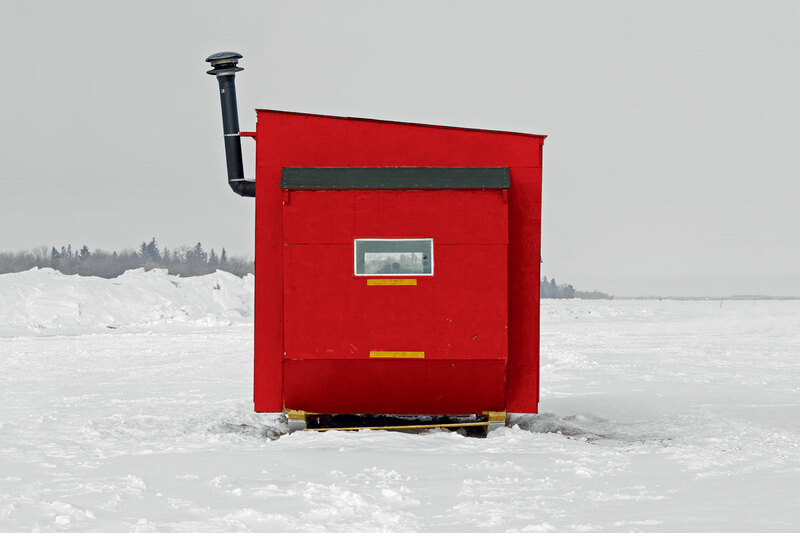 The owner of this shack MacGyvered an old washing machine to serve as a wood-burning stove. “They repurpose whatever they can,” says Johnson of Newfoundlanders. 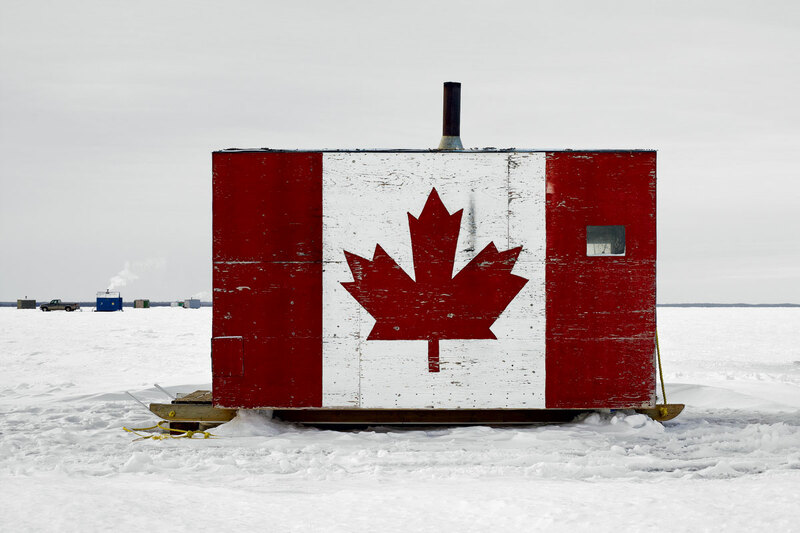 Manitoba The upside of Lake Winnipeg’s brutal winters? 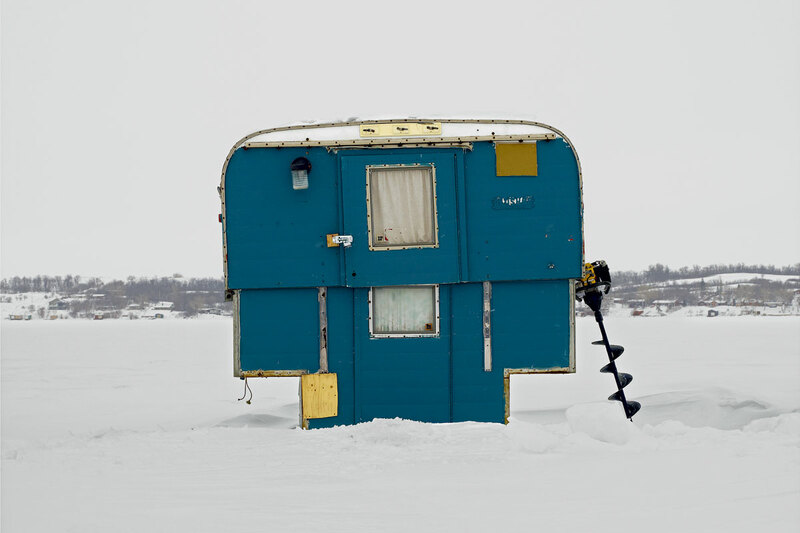 Extra-thick ice able to withstand the weight of relatively luxurious RVs. Manitoba This plywood hut sports an “addition” on one end. “When a family expands,” Johnson explains, “they’ll knock out walls and build on. 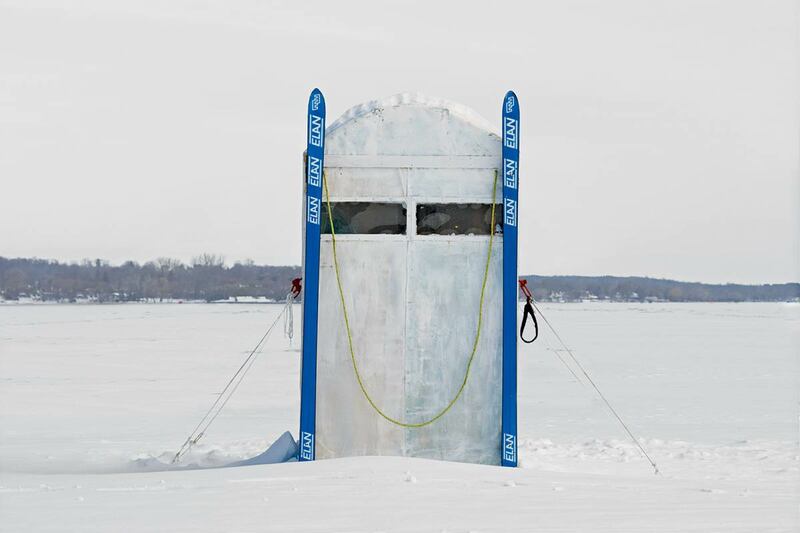 Nova Scotia No bigger than an outhouse, this one-person shelter can be flipped on its side and scooted off the ice via side-mounted skis whenever Silver Lake’s mild maritime climate experiences a thaw. British Columbia In Canada’s least wintry province, “most people just drill a hole and sit on lawn chairs,” says Johnson, making this Charlie Lake structure a rarity. Alberta The folks of Alberta, known as “the Texas of Canada,” live large. 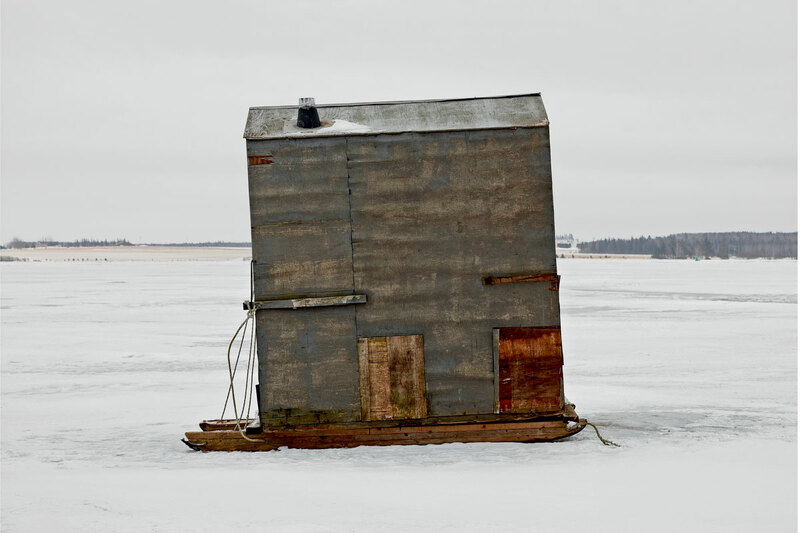 Good thing, then, that the winter ice is thick enough to support six-person huts. Alberta Like Texans, Albertans don’t hesitate to express regional pride.